Couscous is a coarsely ground variety made from semolina,a type of wheat.It is very nutritious and healthy! Heat oil in a pan and add mustard seeds,chana dal,urad dal,asafoetida and allow them to sputter. Now add in the chillies,ginger,curry leaves,turmeric and saute them couple of times. Now add in the onions and fry till they turn translucent. Now add in the bell peppers and fry well. Now add in the tomato and saute well.At this point add in the water and let it come to a boil. Salt and lemon juice can be added at this point. Make sure there is enough water as couscous absorbs more water than semolina. Now switch off the flame and let it set for few minutes. Mix again and garnish with coriander leaves! 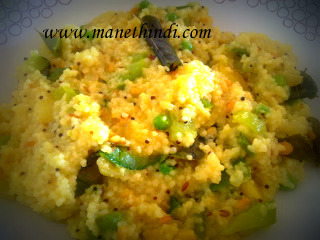 Healthy couscous upma is ready! Servings per container Information is per dry couscous as determined by Nutrient Data Laboratory, ARS, USDA. *Percent daily values are based on a 2,000‑calorie diet. Your daily values may be higher or lower depending on your calorie needs. 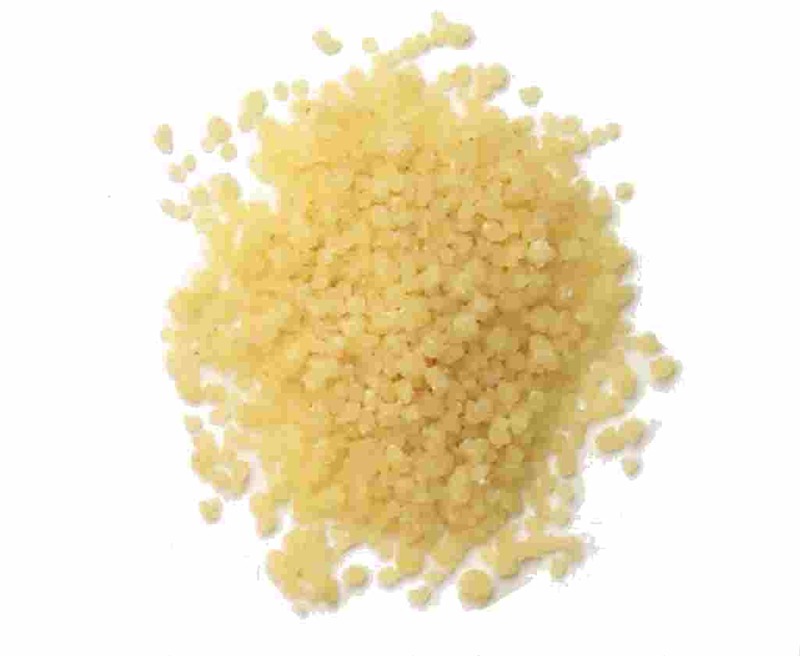 Couscous is among the healthiest grain-based products. It has a glycemic load per gram 25% below that of pasta. It has a superior vitamin profile to pasta, containing twice as much riboflavin, niacin, vitamin B6, and folate, and containing four times as much thiamineand pantothenic acid. In terms of protein, couscous has 3.6 g for every 100 calories, equivalent to pasta, and well above the 2.6 g for every 100 calories ofwhite rice. Furthermore, couscous contains a 1% fat-to-calorie ratio, compared to 3% for white rice, 5% for pasta, and 11.3% for rice pilaf.